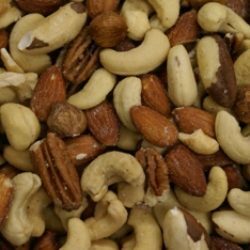 This is an ideal staple to keep in your refrigerator year-round. However, it was intended to go up last week for those celebrating Passover a Jewish holiday. Horseradish is a spicy and pungent root served as a condiment with fish or meat dishes. Also know as the bitter herb eaten during the Passover Seder. It signifies the bitterness of slavery and time for remembering their Exodus from Egypt. To truly taste the joy of freedom is meaningless if one has never felt confined. As a little girl growing up we always had horseradish in our refrigerator both plain white and beet horseradish. White horseradish is much stronger and ideal for clearing ones sinus’s. 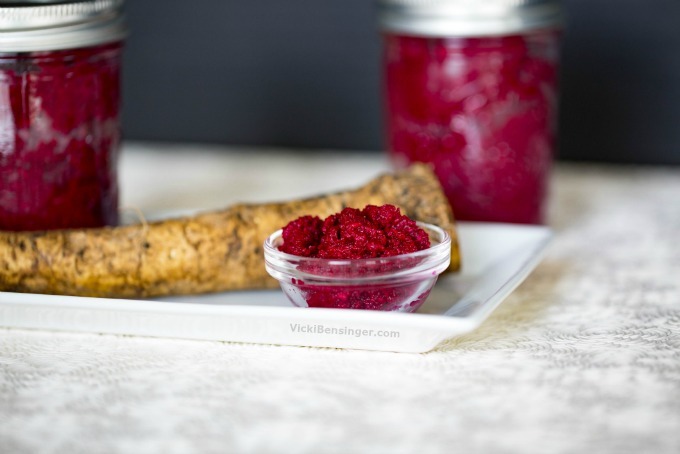 Beet horseradish is naturally sweeter because of the combination of red beets and horseradish root. I can tell you as the youngest of 3 sisters, my older siblings would often like to play jokes on me – not funny, in my opinion at the time. I recall my sisters placing a plate of what they claimed to be mashed potatoes in front of me, a favorite of mine (I was around 6 years old). They told me how delicious the mashed potatoes were and to try them. Taking a huge forkful I became frantic from the heat my mouth and body were experiencing, and cried of course! Yes, much to my delight they both got into trouble. Changing the topic, my sisters played a similar joke the night before entering my first day of high school. 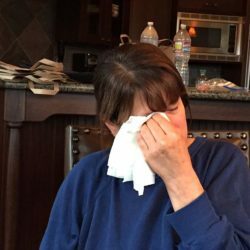 A nervous Nelly the night before – my sisters covered my face with red lipstick while I was sleeping. Back in those days the lipstick never came off – goodness knows what was in that stuff. When I woke up that next morning and saw my face, I was devastated! I couldn’t believe they’d do that to me. They thought it was humorous – KIDS! Indeed they got in trouble but that didn’t help my face. Eventually the majority of the lipstick came off before going to school, but after much scrubbing. I was not a happy camper as you can imagine. Getting back to the horseradish…………….If you’re a fan of horseradish then you owe it to yourself to make a batch of Homemade Horseradish. There’s really nothing quite like it especially when it’s prepared fresh. 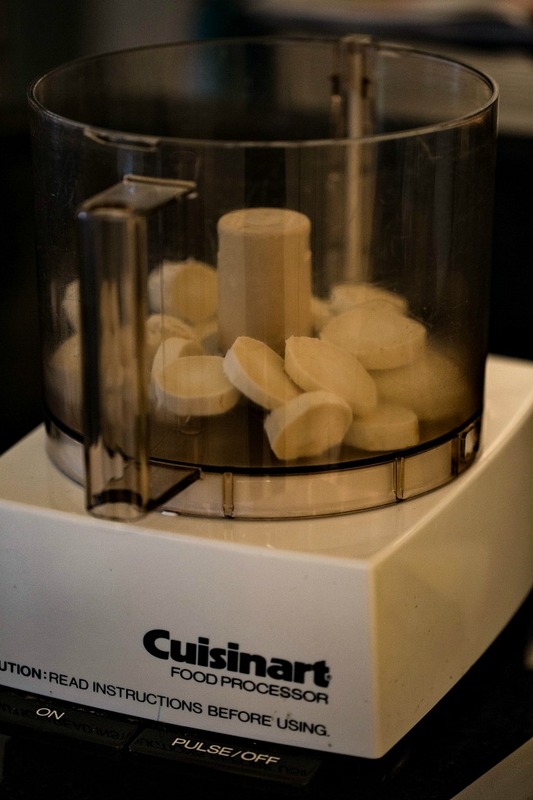 A word of caution….the horseradish root isn’t potent until it’s actually shaved or placed in the food processor. Then by all means do not poke your head close to the processor unless you’re looking for a massive flood from your eyes. Between your eyes burning and sinus’s clearing out, you’ll be in for an eye opening experience. 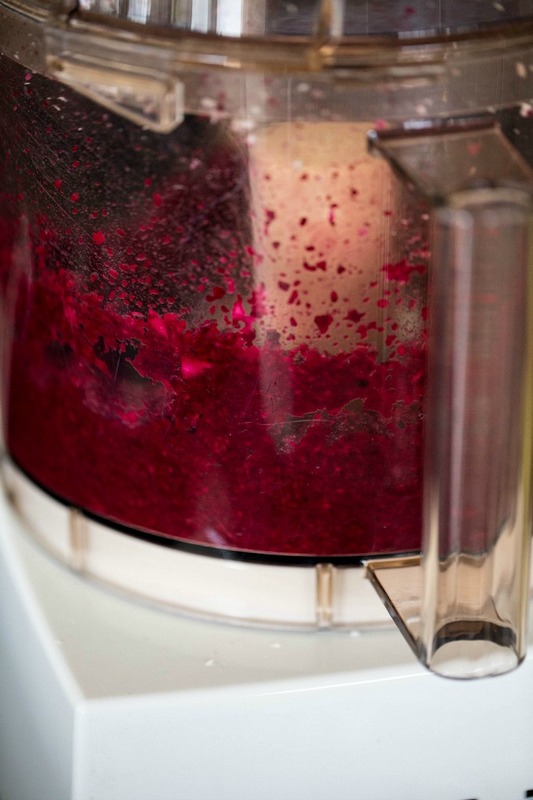 So be sure to keep your nose and eyes at a distance when removing the lid from your food processor after blending. To help tone down the strong fumes and taste, vinegar is added to the horseradish making it tolerable and pleasant for others to indulge in. Oftentimes cooks will add sugar to the horseradish or bitter herbs on Passover. Sugar should be eliminated in the recipe for Passover to remind Jews of the bitterness of slavery in Egypt. I enjoy it both ways and certainly if you don’t need to sugar, why add it? Below is a recipe for homemade horseradish. If you enjoy incorporating horseradish into some of your dishes, then you’ll definitely want to try my Homemade Horseradish. Clean horseradish like a carrot, peeling the outer layer. Pop chunks into the food processor with the remaining ingredients and blend. 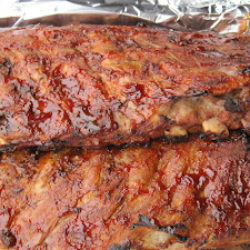 Place in sterilized jars with a tight fitting lid in the refrigerator, until ready to enjoy. The horseradish stores well for at least one week. Homemade Horseradish is the real deal compared to the jarred varieties. Plus if you have a stopped up nose it will clear your sinus's like nothing you've ever tried. 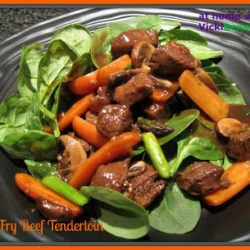 Once you try this quick & easy recipe you'll never purchase a jar of the store varieties of horseradish again. 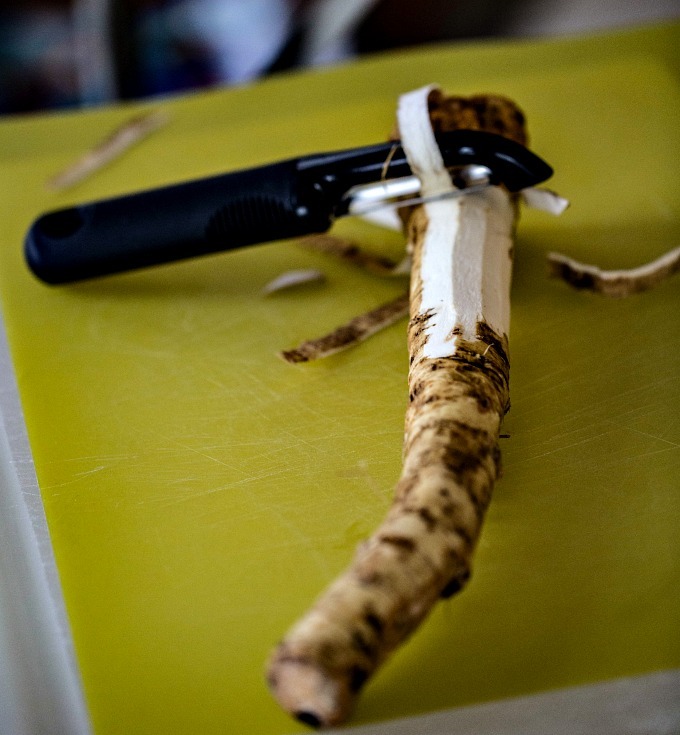 Peel horseradish root using a vegetable peeler. 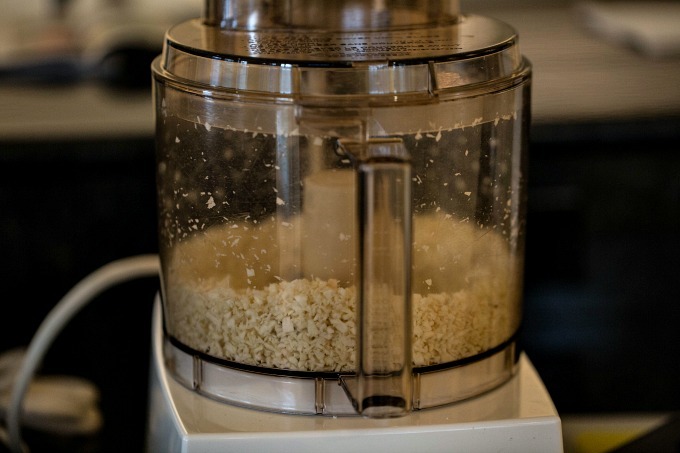 Cut the horseradish into smaller chunks and place in food processor. With blade attachment chop finely. Add apple cider vinegar, salt and water. Process until well combined - not pureed. Remove all but 1 cup of the prepared white horseradish - store in airtight container. You should have about 3 1/2 cups total White Horseradish. 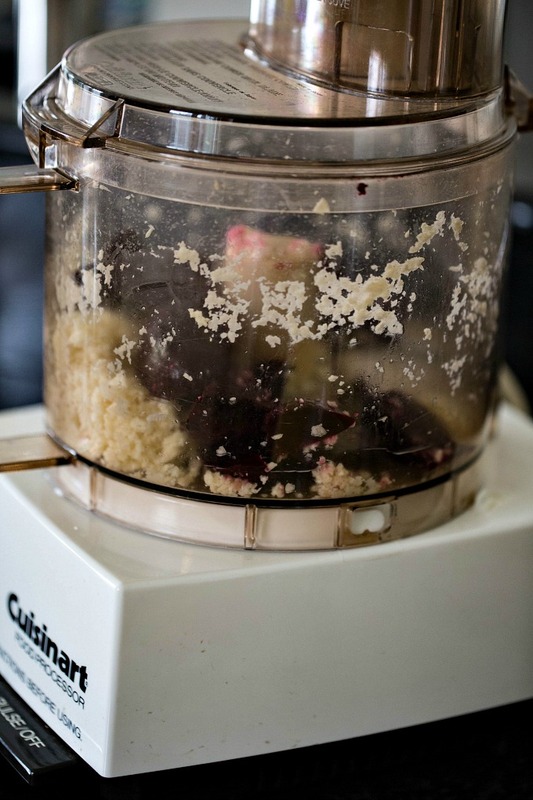 Add beets to the remaining 1 cup white prepared horseradish in the food processor. Process until well combined but still has some texture - not pureed. Transfer to jars or an airtight container. Cover and store in the refrigerator. LOL your two elder sisters were naughty :-)) Freshly made horseradish surely tastes very different from those in jars. Yours with beets looks so beautiful, Vicki. 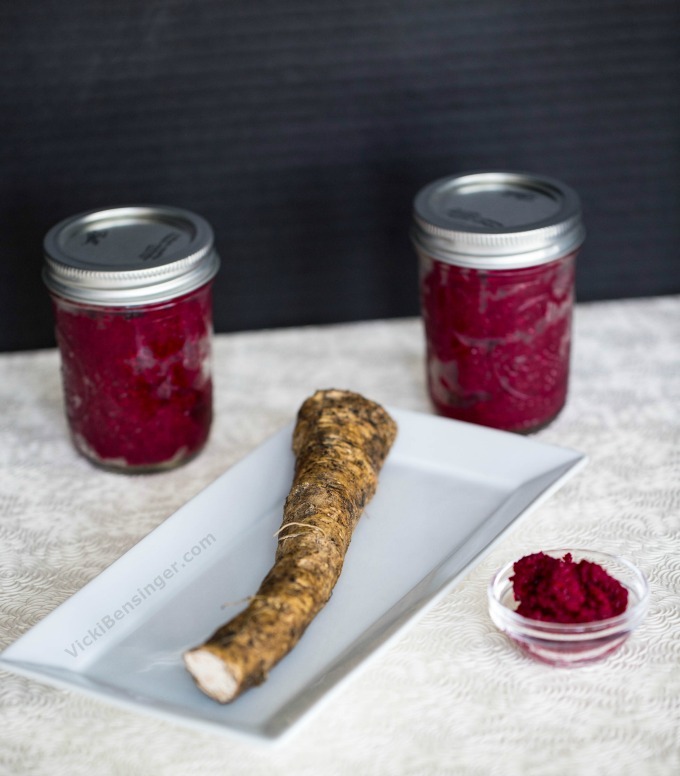 Like you I would never thought in making my own horseradish…although I like that you added beet, and I am sure that is much stronger than the store bought ones. I usually buy my horseradish already prepared, but it’s fun to make sometimes. Yours looks great. And your sisters were awful! LOL, as the oldest of 4 girls, I don’t think I was ever that naughty, but my sisters might have another view! My dad loved heat and we’d always have horseradish in the fridge. I know he would have loved your homemade version! Love the addition of the beets to your horseradish, so much prettier than the any other I’ve seen! 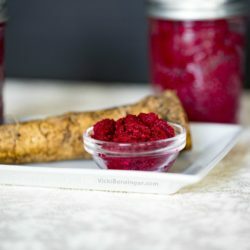 I love homemade horseradish but have never made it with beets. It looks so beautiful. I really like homemade horseradish but can’t often find the root here.